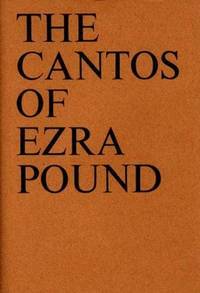 The Cantos of Ezra Pound (New Directions Books). New York: New Directions Publishing Corporation, 1972 / 1981. First edition, 8th Printing Cloth AS NEW in FINE DJ 8vo (5-3/4 x 8-1/4), 803 pp. Clothbound book is unmarked, apparently unread, and AS NEW in FINE printed DJ, protected in mylar cover. (DJ is AS NEW but with one 1/64" dot on front cover.) (h) Cover is brick-brown woven cloth with vertical ripple on spine, as is characteristic of this edition. The Magnum Opus of one of the greatest -- if not THE greatest -- 20th Century American poet. 50 years in the creation. The man to whom James Joyce sent the first copy of Finnegans Wake, looking for his approval. (Difficult to say if he approved or not -- merely wrote "DECADENCE" across the title page, perhaps meaning he considered the work decadent or that he considered the subject to be society's decadence. Arguably one of the great minds of American literature, his affection for Mussolini and Fascism notwithstanding. This copy essentially AS NEW and of gift quality. Technicians of the Sacred: A Range of Poetries from Africa, America, Asia, Europe and Oceania. Berkeley, CA: University of California Press, 1985. Second edition Hardcover Near Fine in Fine DJ 8vo (6-1/2 x 9-1/2), 636 pp including 184 pages of Commentaries by Mr Rothenberg. Revised, Expanded Second Edition is NEAR FINE in FINE dj (now protected in mylar cover). The landmark book that culls memorable poetry from everywhere in both time and space. Poetry is categorized in two ways: by subjects (Origins & Namings, Visions & Spells, Death & Defeat, The Book of Events I & II) and by geographical sources, those continents named in the title. San Francisco: City Lights, 1964. First Edition, First Printing Pictorial Wraps Near Fine in Wraps 12mo (5-1/2 x 7), 116pp. Softcover book is NEAR FINE -- unmarked, lightly read, all pages tight and clean (2 places where book falls naturally open between signatures), pictorial wraps are also NEAR FINE. Daniel Moore's first book, only 1,250 softcover printed, very few still exist let alone in this fine condition. Given that it's 45 years old, this is gift quality. 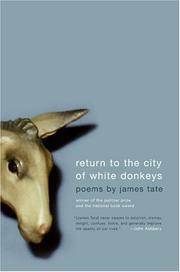 Return to the City of White Donkeys: Poems. New York: Ecco (HarperCollins), 2005. First Paperback Edition Pictorial Wraps AS NEW in WRAPS 8vo (6 x 9), 173 pp. Trade Paper is FINE -- Unread, Unmarked (other than black remainder line on bottom page block) and otherwise AS NEW in AS NEW pictorial wraps. (h) A volume of prose poems by the winner of the National Book Award, Pulitzer Prize for Poetry, the Wallace Stevens Award, and others. A volume of easily read, deceptively witty prose poems that resonate deep in mind and spirit in the hours and days after reading. Mr Tate writes serious, albeit witty, even humorous poetry, but apparently does not take himself too seriously. Where Shall I Wander: New Poems. New York: Ecco, 2005. First Edition, Second Printing Hardcover NEW 8vo( 6-1/4 x 9-1/4), 81 pp (many still uncut). NEW BOOK is FINE (with remainder mark on bottom page block) in pictorial DJ. 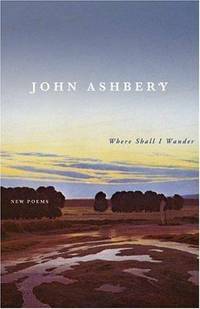 (h) Ashbery, formerly Poet Laureate of New York State (2001 - 2003), recipient of the Pulitzer Prize for Poetry, National Book Critics Circle Award, National Book Award, and became the first Poet Laureate of MTVu, a college-oriented project of MTV broadcast on 750 college campuses at age 80. César Vallejo: The Complete Posthumous Poetry. By Vallejo, César. Translated by Clayton Eshleman and Jose Rubia Garcia. Berkeley: University of California Press, 1978. Unknown Binding AS NEW in AS NEW DJ (with noted exception 4to (7-1/4 x 10-1/4)339 pp including 50 pages of notes. Book is FINE -- Unread, Unmarked, and AS NEW in AS NEW pictorial DJ protected in Mylar cover, with one exception -- light foxing on the edge block of pages. (h) A brilliantly translated collection of Cesar Vallejo's poetry extensively annotated. San Francisco: Dariel Press, 1967. Signed, Inscribed, Limited Edition Printed Wraps AS NEW in WRAPS 8vo (6 x 9-1/4), 48 unnumbered pages. Maroon paperbound limited edition (500 copies) book is nearly AS NEW (minor bump on top cover corner), printed on excellent paper Signed and Inscribed to recipient with full title page pen and black ink and multi-color marker drawings of grace and delicacy. (h) David Schaff was part of Donald Allen's San Francisco area poetry group that included Mr Schaff, David Bromige, Robert Duncan, Robin Blaser, Jack Spicer, and others. This group was closely but tangentially connected to Charles Olson's Black Mountain School Poets. He was one of the attendees reading at the historic Berkeley Poetry conference of July 1965. The Moon By Day (Writing 28) (Signed & Inscribed, with drawings by the author). San Francisco: Four Seasons Foundation, 1971. First Edition, First Printing Glossy Pictorial Wraps AS NEW in WRAPS 8vo (5-1/4 x 8-1/4), 114 pp. Book is Fine/ As New in glossy pictorial wraps which have some discoloration due to age. No aging visible on the excellent paper pages. An unique copy of this book -- signed, Inscribed, and dated with full page of graceful, elegant drawings in ink and various colored pencils on the flyleaf. (h) David Schaff was part of the group affiliated with Donald Allen of San Francisco poets in the 1960's - 1970's, a group which included David Bromige, Robert Duncan, Robin Blaser, Jack Spicer and others, a group that was closely but tangentially connected with the Black Mountain School poets. (One of the poems is dedicated to Charles Olson.) He was one of the participants reading at the historic Berkeley Poetry Conference of July 1965. As Ever: Selected Poems (SIGNED). 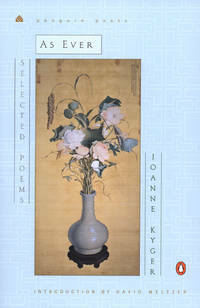 By Kyger, Joanne; Introduction by David Meltzer; Edited by Michael Rothenberg, also Foreword. New York: Penguin Poets, 2002. First Edition, First Printing Pictorial Wraps AS NEW in WRAPS 8vo (6 x 9), 306 pp including Bibliography. Book is Unread and AS NEW, signed by the poet on the title page just below her printed name, in AS NEW pictorial wraps. There is a thin line drawn across the bottom page block, presumably a remainder mark, otherwise perfect. (h) An extraordinary poet who came through the Black Mountain School, her work was overshadowed for some time by attention paid to her Zen-era travelling companion, Gary Snyder, and the "No Girls Allowed" attitude of the times toward women who were poets. 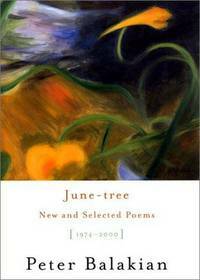 June-tree: New and Selected Poems, 1974-2000 (SIGNED). New York: HarperCollins, 2001. Stated First Edition Hardcover AS NEW in AS NEW DJ 8vo (6-1/4 x 9-1/2), 178 pp. Book is Unread, Unmarked (except as noted below), and AS NEW in AS New glossy pictorial DJ. (h) Remainder line on bottom page block. First Edition stated with number line 01, 02, 03, 04, 05, then 10,9,8,7,6,5,4,3,2. 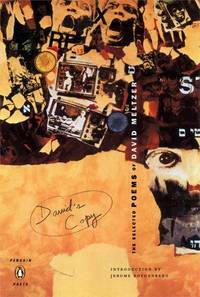 David's Copy: The Selected Poems of David Meltzer. By Meltzer, David; Edited/ Foreword by Michael Rothenberg; Introduction by Jerome Rothenberg. New York: Penguin Poets, 2005. First Edition, First Printing Pictorial Wraps AS NEW in WRAPS 8vo (6 x 9), 262 pp including Bibliography and brief autobiography by Mr Meltzer. Trade paperback is UNREAD and AS NEW in Pictorial Wraps. UNMARKED except for remainder mark on bottom edge. (h) David Meltzer, while not as widely known as some, is perhaps the best-loved and most influential of the poets who began during the Beat period. Woodstock, NY: Overlook Hardcover, 1999. First Edition, First Printing 1/4 cloth AS NEW in AS NEW DJ 8vo (5-1/2 x 8-1/4), 72 pp. Book is UNREAD, UNMARKED and AS NEW in AS NEW orange DJ. 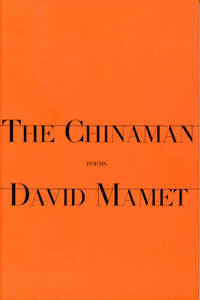 (h) 40 Poems by David Mamet, most previously unpublished. New York: Ecco, 2005. Stated First Edition Cloth AS NEW in AS NEW DJ 8vo (5-3/4 x 8-1/2), 61pp. Book is UNREAD and AS NEW in AS NEW pictorial DJ. Remainder mark on bottom edge, otherwise UNMARKED. No rips, tears, folds. 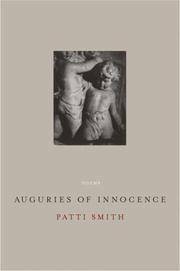 (h) The first book of poetry from Ms Smith in more than 10 years. Cover is white cloth with intitals: "PS" incised on front, title and author's name on spine in gold.